Fern Ridge School District Board of Directors has implemented a process for “paperless” school board meetings. To view agendas, minutes and information for board meetings, click on the following and this will take you to the appropriate website. You will then be able to view and/or print information for board meetings. I have been a FRSD board member since January, 2008, when I was appointed to fill a vacant position and have since been elected for three additional 4-year terms. I did not join the board because I had an agenda; I come from a family that believes strongly in being an active member of one’s community and believed that my educational and professional background would help me make a positive contribution. I work for the University of Oregon in the Office of Institutional Research, an administrative unit that provides data and analyses for campus decision makers, as well as legislators, the media, and many other entities that want information about the UO and higher education in general. 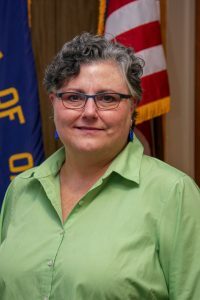 We are also responsible for all mandatory reporting to state and federal agencies and assist academic units with their mandatory reporting to their accrediting bodies, so I believe I have a good understanding of the amount of reporting that Oregon school districts are required to do, as well as the frustrations that go along with it, such as poorly communicated and ever-changing instructions and deadlines. I have worked in this office since 1998 when my husband and I relocated from Austin, Texas after I completed my graduate degree at the University of Texas (I have a master’s degree in developmental psychology). Prior to that, we lived in the Redding and Sacramento, California areas. I grew up outside of Eagle River, Alaska, but graduated from high school in California after spending my junior and senior years recovering from the culture and temperature shock of moving from Alaska to one of the hottest places in the nation. I have one child who attends Elmira High School, and she has been a student in the district since she started kindergarten at Veneta Elementary (in Mrs. Cutsforth’s inaugural year). A challenge that comes with being a school board member with a child in your district is having to walk a fine line between pushing for things that will benefit your child and being sure that those things are what are best for all of the children in the district. I believe that I have done a good job of doing this, and hope that those who know me would agree. My mother was a high school English teacher, so I am very aware of how many hours teachers really put in, and actively challenge those who suggest differently. I believe that public K-12 educators are among the most underappreciated and important individuals in our society, and I am proud to be able to support the FRSD staff so that they can achieve excellence in providing our students with the quality education that will prepare them for full and successful lives. I have spent time as a volunteer in the schools over the years and make every effort to attend events, performances, and fundraisers at every school. I am delighted by and extremely proud of our students and thank you for making it possible for me to serve them. I am privileged to be mother to four awesome young men, two of which have graduated from Elmira High and two are attending FRMS. Since moving to Veneta in 2009, I’ve enjoyed raising my children in our community and I’m interested in supporting the efforts of our educators. I’m an only child, born and raised in Jamaica where I spent my first 22 years. My journey to Oregon started 1997 in Miami, Florida, where I worked with Royal Caribbean Cruises Ltd. In 2002, still supporting the cruise line, I transferred to Wichita, KS and in 2006, again transferred to Springfield, OR. In 2013, I resigned from the cruise line; however, within three months, figured out being a stay at home mom was not my calling. I’m currently supporting GloryBee in the role of Senior Sales Manager. My studies include Bachelor of Science degrees in Criminal Justice and Business Administration. I’ve completed a Leadership Program through the Eugene-Springfield Chamber of Commerce Program. Over the years, I’ve supported a number of organization as a volunteer:  Eugene Police Department: I was responsible to process District Attorney’s Office Case Management email/requests for disposition to officers for the Property Control Unit.  Womenspace: I supported the hotline for callers affected by domestic violence as a Crisis Advocate.  Fern Ridge Education Foundation: I maintained documents, filing of reports and financial records for the foundation as Secretary & Treasury.  Currently serving as a Court Appointed Special Advocate (CASA) to be the voice for abuse and neglected children. I am excited to be given the opportunity to support our community, our children and those who work within Fern Ridge School district. Please contact me anytime at bgrahamadams@fernridge.k12.or.us or call 541-935-2253 ext. 1203. Sterling has been married to Charlene Pew for thirty years. Sterling and Char have three children that attended all thirteen years of school in the Fern Ridge School District and they graduated from Elmira High School. Sterling Pew started working in the construction field for John Wells Construction Company in Anchorage, Alaska in October 1983 and continued working for John until December 1986, at which time he returned to the State of Oregon. Upon his return Sterling worked for a few other construction companies until he started working for Scott Rude Construction in April of 1989 until Scott closed his business in September 2012. Sterling worked for a short time as the Construction Manager for the Junction City/Harrisburg Habitat for Humanity helping to build houses for those in need. 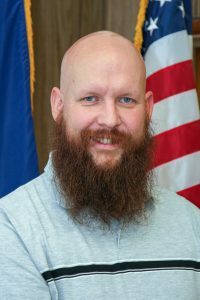 Sterling is currently employed with Square Deal Lumber in Springfield, Oregon where he is the Assistant General Manager. Sterling has volunteered in the Fern Ridge Community for many years. 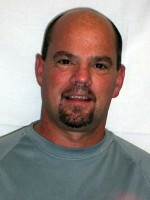 Sterling started his volunteer career in 1998 as Soccer Director for the Territorial Sports Program. In 2005 he was voted as President of TSP and he held that position until June 2010 at which time he resigned as President, but continued to maintain a position on the executive board which oversees all of the financial aspects of the organization. Commencing in June 2007, Sterling was elected to the Fern Ridge School Board and he continues as a board member today. Sterling has held the position of vice chair and chair during his tenure on the board. In 2008 Sterling was chosen to be a part of the first Ford Family Foundation Leadership Training class in the Fern Ridge Community. This leadership class had to select a community project, fundraise for the project and complete the project within one year. Thanks to this leadership class, the Fern Ridge Community received the reader board that currently sits at the Fire Station in Veneta. 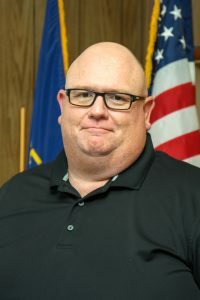 Sterling was awarded the Man of the Year award by the Veneta Chamber of Commerce in 2014 and in December 2016, Sterling was elected as President for TSP once again. In addition to Sterling’s job and volunteer activities, he is a woodworker and enjoys building things. He designs and builds awards for his wife’s barrel racing activities in his spare time. I am honored to represent the students, parents and staff on the Board. 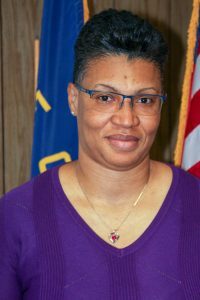 I was appointed in March of 2018 and elected in May. I grew up in the Bethel School District and graduated from Willamette High School. I met my wonderful wife in a P.E. class my freshman year and we have been together the last 35 plus years. We moved to Veneta about 27 years ago and raised 5 children that all went through the Fern Ridge School District. Our oldest two daughters went to Central Elementary. When our youngest two were in 4th and 1st grades, Central closed and they finished at Veneta. We also had a young man (whom we consider our son) live with us for his Junior and Senior years at Elmira after going to Elmira Elementary and FRMS. I started volunteering with Lane County Fire District #1 in 1997 and was fortunate enough to get hired full time in 2003 as the Training Officer. I am now one of two Training Officers for Lane Fire Authority and am stationed on Sundays at our Irving-area Station and Monday through Thursday in Veneta. Over the past 14 years, I have served on both local and state fire training executive committees. I enjoy doing volunteer work in the community such as; SMART reader at Veneta Elementary, 5th grade outdoor school, sideline helper with Elmira JV and Varsity football, assistant coach Elmira boys basketball, and in the past, FRSD Budget Committee and TSP School Rep and coach. Prior to working for Lane Fire Authority, I worked as a special education Instructional Assistant with the Lane ESD for 15 years, working mostly in a high school setting. While working in the schools, I also umpired High School fastpitch softball and adult slowpitch softball in the area. This allowed me to utilize conflict resolution strategies with adult coaches and players. I had the opportunity to work three slowpitch National Championships; Women’s Major in Salem, OR, Men’s Major in Waterloo, Iowa, and the Men’s “A” in Dothan, Alabama. My coaching and Fire/EMS background has allowed me to see the big picture, as well as the needs of individual instruction and growth. I am very excited to be on the board and look forward to serving the students of this district for the next four years and hopefully beyond that. am blessed with a loving wife and 6 beautiful children, the oldest 4 of whom are enrolled in Fern Ridge School District. I’ve lived in Elmira/Veneta most of my life with the only exception being that my family moved to Junction City for 7 years after my parents divorced. Being the small world that it is, my wife and I now own our home less than 1/4 mile from my childhood home. In our free time we thoroughly enjoy spending time in the outdoors. Our kids are all active in sports so its quite common to find us at the TSP fields or cheering by the side of a wrestling mat. I joined the School Board in August 2018 as a means of further being involved both in the direction of my children’s lives, but further more within the community. I previously served on the Fern Ridge School District Long Range Facility Planning Committee during the planning process of the 2014 bond, in addition to other volunteer work.